If you have access to a computer or chromebook, you may already have on hand several free tools to help struggling readers, writers, special education students, and ELL's. Once introduced, these are tools that students can use independently to help themselves bridge a gap, and be more successful with their assignments. Less focus on the deficits will allow students to focus on the content knowledge, and skills being taught. Their ability to use these tools independently will free up adults' time to help students in a larger variety of ways. 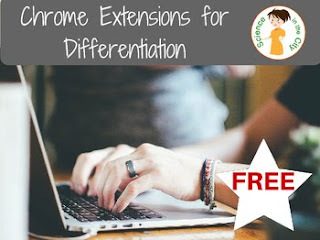 This product outlines several of my favorite free chrome extensions and capabilities, with screenshots and directions, to help modify and differentiate in your classroom. This resource is compatible with Google Drive, it is in no way affiliated with or representative of the Google company, nor is it formally endorsed by Google.